The 16th International Symposium on HIV & Emerging Infectious Diseases was held in Marseilles on 24-26 March 2010. Our intrepid PR man, Martin Barnes, provides a Rethinkers’-eye view, with editorial assistance of friends Georg and Stefan. “We thought we were prepared. We had our AIDS Trap brochures in English and French, we had a special ‘Gallo Gorilla’ page ready. We arrived at 9 am and cased out the huge conference building. The auditorium was perfect. We had red balloons and a helium tank. There was a balcony above. We could attach our literature to the balloons and release them when Gallo began to speak. The attendees started to arrive. Hundreds of them. All ages, all gender, all colors. A few serious academic professor types, but most in mid-thirties, most French speaking. All people making their living on AIDS. 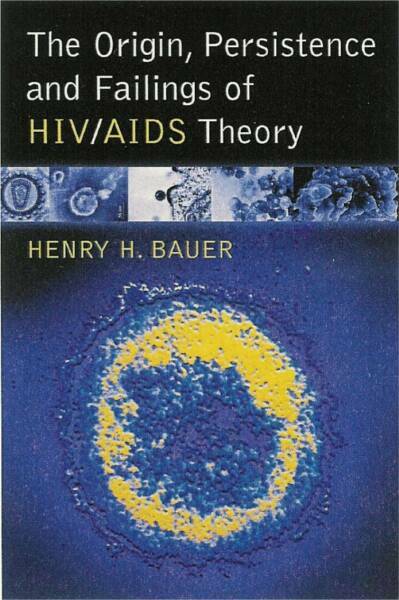 We began to hand out our literature, such as Henry Bauer’s recent paper on HIV-testing. Georg ran into a German radio journalist from Deutschlandfunk DLF and asked whether he was looking forward to listening to the keynote. He said, ‘Not really.’ Does he like Gallo? ‘Not really, I have interviewed him multiple times in the past, he always was very unfriendly and arrogant.’ Georg handed him a printout of Janine Roberts’ analysis from her website and the letter to Science from the Rethinking AIDS homepage. They agreed to get back in touch once back in Germany. The invited speakers were AIDS doctors and researchers. Each time they would talk about their experiments with this or that new AIDS drug and how it was working. There was one talk about AIDS and aging, how do you keep up with AIDS problems and confounding old-age problems? A guy from WHO was there. He started off with a picture of a pig and spent the whole time defending what had happened with the swine-flu debacle. There was a doctor from a London hospital who kept talking about viremia. Afterwards I asked how he measured viremia. He didn’t answer. I said was it viral load? He said it was a standard survey technology. I said was he aware of criticisms of the viral load technology? He nodded sheepishly and turned away. It was lunch time and we had a pow-wow. Should we go ahead with plan A? We weren’t detecting any openings whatsoever for an alternative message. The only sort of intellectual exchange was, ‘You have talked about interleukin 2, interleukin 5, interleukin 7, interleukin 11. Why have you been ignoring interleukin 6?’ There simply was no critical thought on the HIV/AIDS paradigm to build on. We just couldn’t go through with it. The whole conference was like a meeting of zombies practicing a religion. If we were to shower them with leaflets they would conclude the information came from the devil. The only way to make inroads at a conference like that was to have already established an alternative platform with professionals that the attendees could look to for competing information. Luc Montagnier needed to be there saying a healthy immune system can clear HIV, and anti-oxidant papaya juice helps. It was time for Gallo to speak: ‘HIV Vaccine of the Future.’ He said, Look guys, the only way to really stop this thing is with a vaccine. Medicines help but they are not the answer. The history of vaccine-trial failures has been bad for keeping us funded. But I have an idea. We’ve got to get a vaccine that hits fast and hard. If HIV gets to the viremia stage, it’s embedded in the cells and then it’s too late. The recent Army trial in Thailand gives us hope. For the first three months the vaccine was effective. It wasn’t until they reached six months that the vaccinated group was the same as the controls. This matches some data we have developed at my institute. The gp120 envelope is flexible and folds onto the C4i antibody. If we could just figure out how to get the antibody to last longer we will have the answer. Well, afterwards at least we had a nice dinner at an Indienne restaurant in the old town of Marseilles. I had renewed respect for the power of a meme made of fear and obscure biology to create a money-machine juggernaut that goes and goes and doesn’t stop. HUGE files (400-500MB!) are downloading very slowly for me, at about 75KB/sec = 1-2hours…. HIV/AIDS dogmatists attribute to “HIV” any unwelcome condition in which a significant proportion of patients test “HIV-positive” — even when that condition is clearly owing to antiretroviral drugs, as with “HIV-associated lipodystrophy” (Misleading is worse than lying — The case of “HIV-associated” lipodystrophy, 2008/11/10). Thus the tendency of people with bacterial pneumonia to test “HIV-positive” was attributed to “HIV-associated immunedeficiency” predisposing people to infection by pneumonia bacteria. In “One fact, two interpretations”, 2009/04/26, I pointed out that such associations can equally be explained by noting that people who are ill from virtually any ailment tend to test “HIV-positive” more often than others. That is notably the case with tuberculosis. Results of “HIV” tests in the United States show members of 3 groups testing “HIV-positive” as frequently as 50% or more (Table 23 in The Origin, Persistence and Failings of HIV/AIDS Theory): gay men, drug abusers, and TB patients. That led me to ask rhetorically: Is tuberculosis an aphrodisiac? [2008/01/04]. NO: people who have contracted TB are likely to test “HIV-positive” before the TB becomes overtly debilitating. “[A]bout 80% of South Africans living with HIV will develop TB. An HIV-positive person is 50 times more likely to develop active TB than an HIV-negative individual. In most cases, TB is also the first disease that a person with HIV gets before they even know their HIV status”. Exactly. There is no evidence that the “HIV-positive” status preceded the development of active TB. Recall, please, that when AIDS was first recognized, the characteristic diseases were Kaposi’s sarcoma, Pneumocystis carinii pneumonia, and candidiasis; those, not TB, ought to be “the first disease(s) that ‘HIV-positive’ people get” . Again, exactly: “HIV-positive” Africans are not dying of the characteristic AIDS diseases, they are dying now — just like before the “AIDS” era — of tuberculosis. Of course the incidence of TB has a “knock-on” (in American, “domino”) effect on “HIV” prevalence: TB infection is a prime cause of cross-reactions with “HIV” tests, something obvious from US statistics almost from the beginning of “HIV” testing. In other words, 50 times as many as the most inflated estimates for “HIV”. So which is more likely? “HIV” predisposes to TB, or TB predisposes to “HIV”? After all, 98% of TB carriers acquired it without benefit of “HIV”. People with active TB are more likely to test “HIV-positive” than non-symptomatic TB carriers are. Yes, exactly. 50 times as many TB carriers as “HIV” carriers. By the time a TB patient tests “HIV-positive”, the prognosis is poor: the more ill a person is, the more likely to test “HIV-positive”. Attributing the deaths to “HIV” inverts cause and effect. The mainstream has done this ever since Dondero and Curran of the Centers for Disease Control and Prevention thought that the correlation between mortality and “HIV-positive” status showed that “HIV” causes death, forgetting that correlations never prove causation [Dondero & Curran, “Excess deaths in Africa from HIV: confirmed and quantified”, Lancet 343 (1994) 989-90]. I’ve mentioned videos of high interest to AIDS Rethinkers at the Immunity Resource Foundation and John Lauritsen’s site. The former can be downloaded, the latter can only be viewed on-line. That’s true also for videos at YouTube and at many other sites. Recently I was alerted to the existence of a browser add-on for Mozilla Firefox and Internet Explorer, the Ant Video Downloader, that allows one to download any video being displayed in the browser window. I’ve now used it a number of times with Firefox and have found it delightfully easy and reliable. The media have since that time appropriated the suffix “Gate” as shorthand for any scandal about an attempted, stupid, fumbled cover-up that threatens to bring down some house of cards that earlier had seemed impregnable. So when e-mails were discovered at the University of East Anglia’s Climate Research Unit showing that the climate gurus had been conspiring to suppress data contradicting their theories, the event was naturally enough publicized as “Climate-Gate”. The Director of that Climate Research Unit soon resigned, and an “independent” international panel was formed to consider the soundness or otherwise of what had been promulgated for many years by the IPCC — International Panel on Climate Change. It remains to be seen, of course, whether that “independent” panel will be genuinely independent enough to include such highly qualified dissenters from the mainstream dogma as Patrick Michaels, former climatologist for the Commonwealth of Virginia, or physicist Fred Singer, emeritus professor from the University of Virginia and from George Mason University. In August of 2009, HIV/AIDS vigilantes persuaded Nobelist Barre-Sinoussi to allege to Elsevier that questioning HIV as cause of AIDS represents a potential threat to global public health; which terrified Elsevier’s Vice-President Glen Campbell sufficiently that he had two articles already accepted by Medical Hypotheses, already posted on-line as in press, withdrawn — without bothering to inquire into the plausibility of Barre-Sinoussi’s assertion by, say, consulting the journal’s editor, or its editorial board, let alone the authors of the articles. Perhaps he was terrified less by the medical or scientific substance of the assertion than the threat to boycott Elsevier journals, and to have the National Library of Medicine cease abstracting Medical Hypotheses in PubMed. The vigilantes had in fact also petitioned the National Library of Medicine to that effect, a petition that was carefully considered and then rejected — even though Medical Hypotheses had over the years published at least a couple of dozen articles questioning HIV/AIDS theory. In the meantime, one of the authors of one of the withdrawn articles had sued Elsevier in a Dutch court, since the publicly posted description of reasons for the withdrawal of the already accepted articles represents a libelous statement. Suddenly Lloyd was able to produce unsigned “reviews” of the articles in question by 5 anonymous reviewers, unremarkably enough finding the articles unsuitable for publication — albeit for other reasons than that they constituted a threat to global public health or were potentially libelous, which were the originally stated reasons for withdrawal. In other words, even these “reviews” found that the withdrawal had not been justified on its own terms. Internal evidence in those “reviews” demonstrates how hastily they were composed with the single purpose of justifying withdrawal of the articles: there are not only typos signifying unseemly haste but also ad hominem remarks that should have no place in scientific discourse, and the “reviews” fail to address substantively the actual points made in the articles. Most particularly the reviews failed to address the fact that the Duesberg article presented evidence, data from mainstream sources, that claims of 300,000 unnecessary AIDS deaths in South Africa were based on computer modeling in which the number of South African AIDS deaths was said to be about 25 times greater than the numbers for AIDS deaths published by the official South African Statistics agency. — In January, at the Times Higher Education website, innumerable comments from people not previously engaged in HIV/AIDS matters spoke to the value of a journal like Medical Hypotheses that circumvents the traditional censorship of genuine novelties that is inevitably imposed by peer review: Zoë Corbyn, “Unclear outlook for radical journal as HIV/Aids deniers evoke outrage”, 14 January 2010; “Publisher attempts to rein in radical medical journal — Editor rejects proposal to have submissions peer reviewed”, 23 January 2010; “Implement peer review or resign, controversial journal’s editor told — Ultimatum spells end for Medical Hypotheses in its current form”, 10 March 2010. — Now Nature’s website has also described the situation, giving us the opportunity to make public some of the details, like those mentioned above, that Elsevier has failed to disclose to enquiring journalists: Daniel Cressey, “Editor says no to peer review for controversial journal — Move demanded by publisher would ‘utterly destroy’ Medical Hypotheses”, 18 March 2010. 1. When exactly was it proved that HIV cause AIDS? 2. What are the scientific publications that constitute this proof? 3. By what mechanism does HIV destroy the immune system? * A former Department Head in a certain Chemistry Department — in days when Heads were dictators and not chairpersons — was wont to chair meetings of the various Departmental committees. At subsequent business meetings of the whole faculty, he would then announce, “Committee A has met; and it has been decided that…”. All perfectly true, even though the decision would always be his alone and irrespective of what the committee members might have advised. 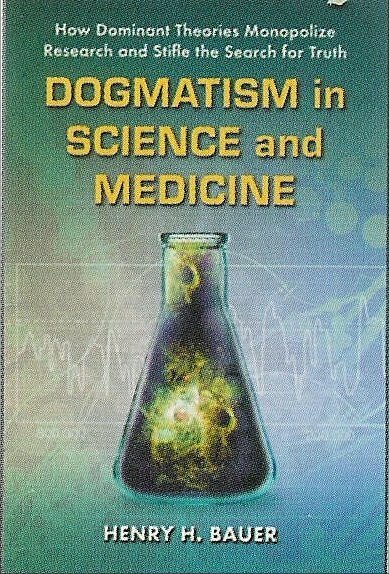 ** Should anyone doubt the value of publishing hypotheses, they might ask themselves why distinguished people would find it valuable, for instance the contributors to The Scientist Speculates (ed. I. J. 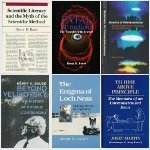 Good, Basic Books, 1963) who include not only Good himself, internationally renowned for reviving Bayesian statistics, but also (for further example) J. D. Bernal, David Bohm, Sir Cyril Burt, Arthur C. Clarke, Dennis Gabor, Arthur Koestler, L. S. Penrose, N. W. Pirie, Michael Polanyi, Harlow Shapley, R. H. Thouless, C. H. Waddington, Eugene Wigner, and more. 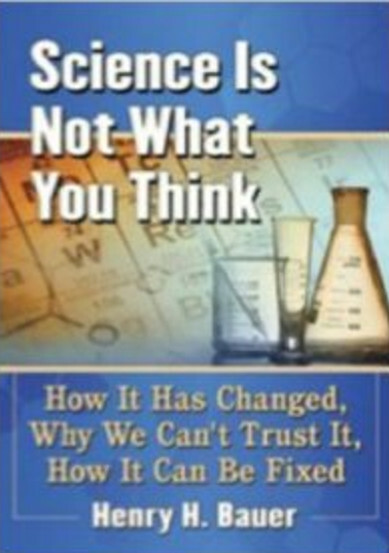 The collection’s epigraph is “The intention of this anthology is to raise more questions than it answers”, in view of what everyone who really understands science knows, that the most important spur to progress is to ask the right questions. That was the value of Medical Hypotheses. It could point out that certain mainstream Emperors have no clothes, something that could never pass “peer review” no matter how obviously true it might be.